Dear Australia, I owe you a hearty apology for eating a bloomin' onion once and calling it my most Australian experience. In fact, I'm sorry about The Outback in general. I feel as though our nation now owes you a hearty salute, as Digital Spy has just reported that Robin Thicke's new album, Paula , has sold only 54 albums in the entire continent of Australia. Australians are really, really smart, and know how not to purchase misogynistic music. They have also now given Thicke his pay back for giving us the icky "Blurred Lines" last year. Word has not yet been released if at this moment Paula has sold a 55th copy. 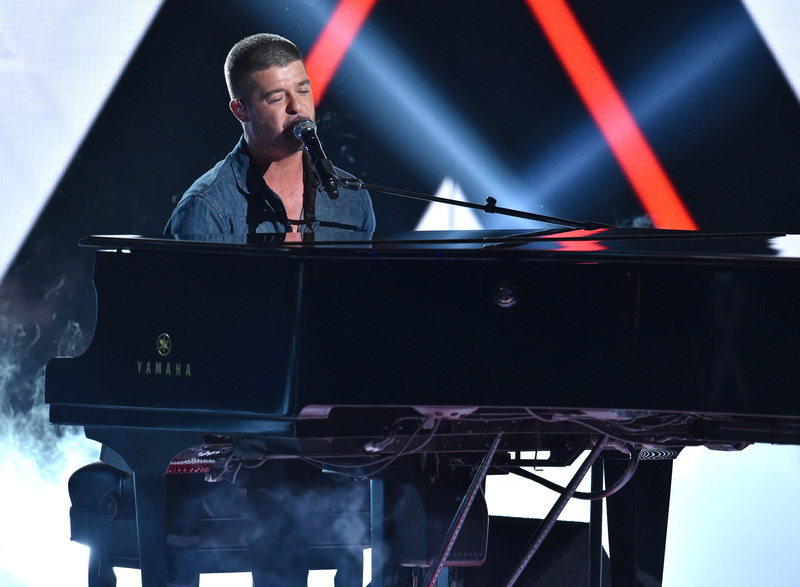 But there are no blurred lines about it — Thicke's new album, which is essentially a man-child cry of an attempt to win back estranged wife Patton, is not doing well anywhere . In its first week on the charts, The Guardian reported that it only sold 350 copies in the UK. Perhaps it's because Thicke has done a complete 180 since last year — going from a misogynistic lady-lover to someone who features small children eating cake in his videos. Apparently, sexist people making desperate moves to win back their ladies is lower than low. Like, 54 albums in an entire continent low. But either way, it's like Paula has sealed the deal for many people who were on the fence about Thicke. They're not buyin' it — literally. Especially in Australia. Those Australians know how to dodge the unfortunate stuff, that's for sure. Perhaps Thicke's album is the musical equivalent of a flying dingo?